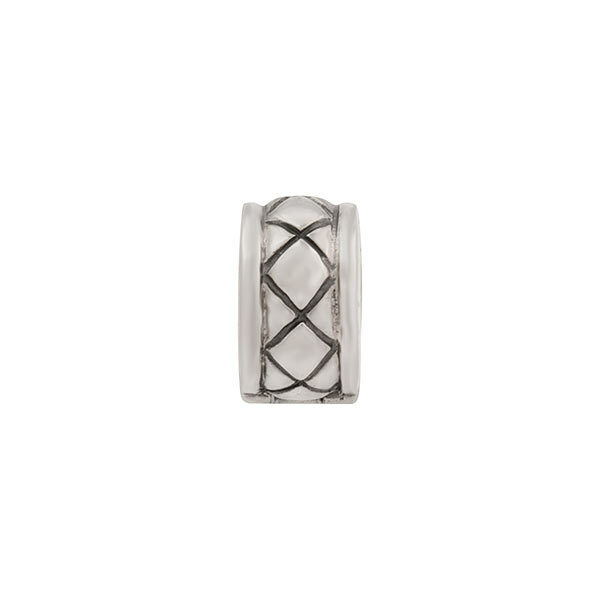 This silicone clip lock has an oxidized criss cross pattern around the entire clip. Snap this removable clip on your bracelet to keep your charms where you want them. 5.5mm x 9.5mm.